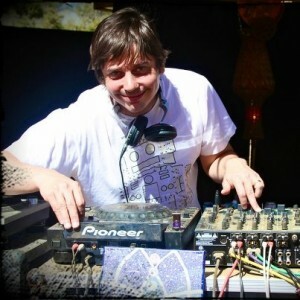 Ben Annand has been a mover and shaker in the house and techno scene in Los Angeles since he first started djing in 1996. He holds dj residencies at 3 of California’s top parties – Tropical and Moontribe in the L.A. area, and Forward in San Francisco. He has played in most major U.S cities, and internationally in Japan, Russia, England, Scotland, Spain, Portugal, Canada, Ecuador, and Mexico. Highlights include Wiggle at Fabric in London, 2 times at Labyrinth Festival in Japan, and 14 visits to Moscow’s Propaganda Club. Equally dedicated to throwing quality events, Ben is just as known for his event organization as his dj skills. His now legendary party, Tropical, has evolved since 1998 over nearly 60 events from warehouse to boat to beach party to today’s campouts, retreats and festivals. Tropical stands out from other parties in that it is 100% nonprofit – the party has raised over $23,000 for charity causes to date. The party is also special for its spectacular locations, including a 160-acre retreat center with poolside Function One Sound system and hot tubs, the stunning La Jolla Indian Reservation, the Hummingbird’s Nest Mansion, and Altadena’s historic Zorthian Ranch.